Ensure optimal coordination among existing initiatives that target the development and implementation of components of the IFDS. 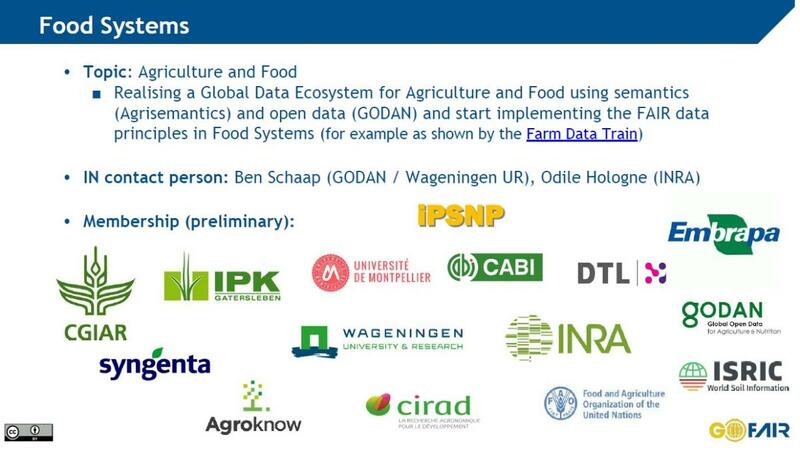 Advocate for and support choices compliant with the FAIR principles for scientific data management and stewardship. These principles refer to three types of entities: data (or any digital object), metadata (information about that digital object), and infrastructure. Support for the creation and running of GO FAIR Implementation Networks. 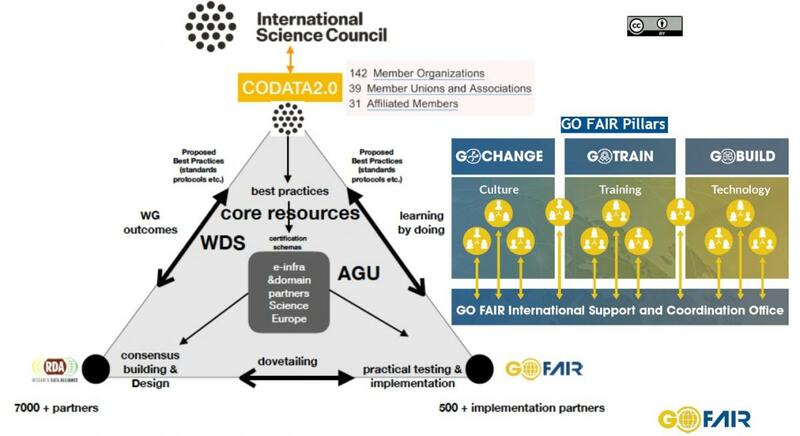 GO FAIR Implementation Networks (INs) is the core of GO FAIR and a federation of active, preparatory and interested topical networks of excellence that collectively commit to the FAIR principles in terms of standards, protocols, and best practices. 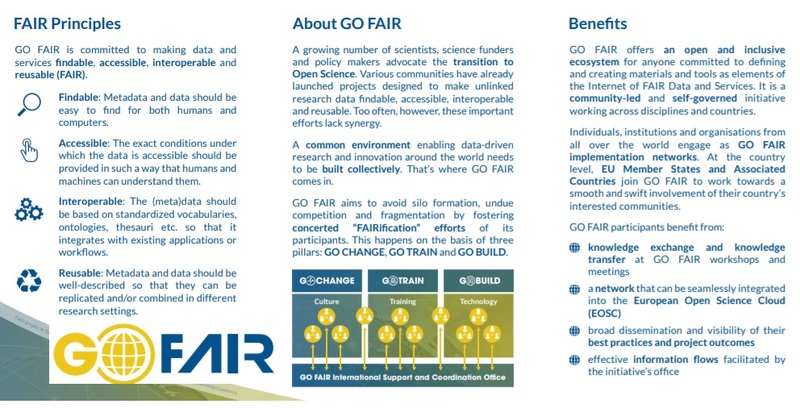 GO FAIR’s Implementation Networks have been established or are under development with resonance not only in Europe but also in other regions like the United States, Australia, Latin America, and Africa. Country wishing to join GO FAIR is expected to acknowledge and support the principles that form the basis for the GO FAIR initiative. To date, France, Germany and the Netherlands have established an internationally operating office to support and coordinate the establishment of a series of Implementation Networks in European Member States and beyond. Share expertise in practical implementations and applications of semantic interoperability while learning from other IN's proposing or investigating semantic solutions (ontologies, linked data, alignments, etc.) to address data discoverability and interoperability, in combination with practical/research applications.